I live and work in an area with many bicyclists. I even ride my bike in the city streets from time to time. As a driver, I am safe, courteous, attentive, and not opposed to sharing the road… IF certain conditions are met. I know that some drivers have a weird hatred for cyclists, but most just aren’t used to them, and get very nervous when sharing the road. I’ve gotten into heated debates with many people on this subject, and for the most part, cyclists agree with me. As with most things, it’s the errant bunch who cause problems. I can’t decide if they have a God complex or a death wish. Cyclists: do us ALL a courtesy and abide by the guidelines below so that I don’t have to come scrape you up off the street. It happens all the time, and it only has to happen to YOU once! I’ve seen countless cyclists (often students, bike messengers, and adults over 45) in serious or critical condition come through the trauma room. I’ve seen major head traumas, multiple bone breaks, and severe blood loss. I vividly remember one grisly accident with a bike messenger. Her friends (also young bike messengers) came into the waiting rooma and were making flippant comments about “Jane” coming to the ER for a stupid bike accident. I was boiling with anger at their attitudes. A while later, the nurse gave me the go-ahead to bring them back to see their friend, and I had to prepare them for what they were about to see. I told them gravely that their friend was “in pretty bad shape,” and that certainly sobered them up. It broke my heart to watch the stunned looks appear on their faces as they entered the trauma room and saw her mangled body. I remember the sound her mother made when she first saw her daughter. It was chillingly mournful, almost wild. I heard the paramedics’ report, which included statements from bystanders that the girl was biking aggressively, darting and weaving through local traffic without a helmet. She was wearing shorts, a t-shirt, and flip-flops, and I could see an iPod in her pocket. 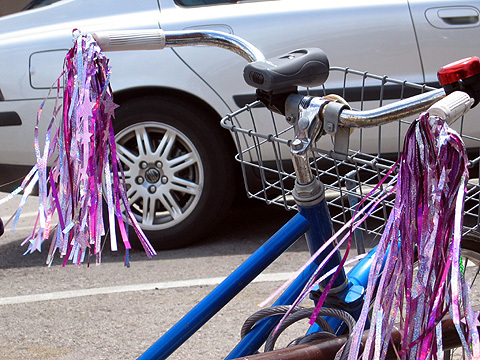 One of her friends asked me how the bike was, and I just stared at her, trying not to lash out. I think I finally managed to mutter something about focusing on her friend being alive. 1. Wear a Friggin Helmet! Seriously! 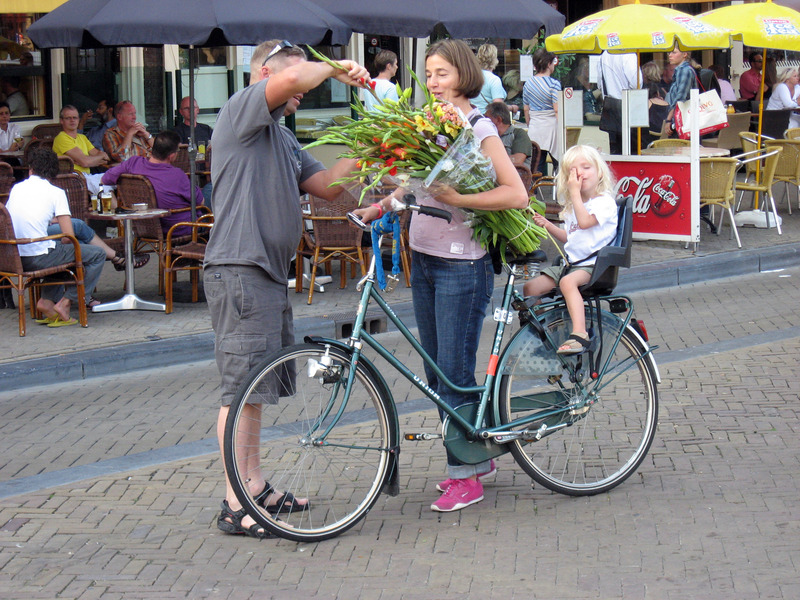 This is the #1 way to significantly decrease the chance of fatality in a bicycle accident. Your body is not impervious, and is, in fact quite fragile! Oh, you know what you’re doing, do you? What about the other people on the road? What about unforseen situations? 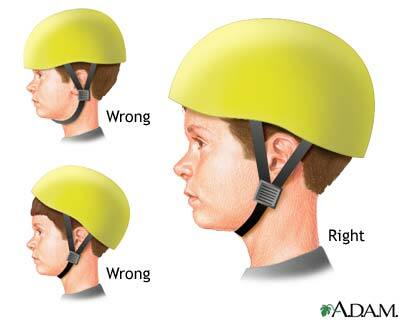 Statistics support my experience: the worst patient outcomes result from the patient not wearing a helmet. 2. I can’t see you! It’s dark, raining, snowing, or foggy. Wear something reflective. 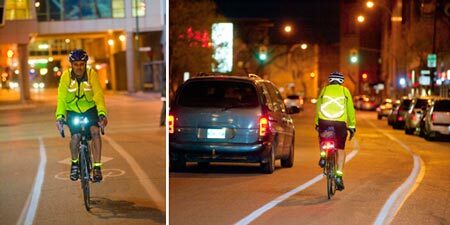 Put reflectors on your bike, invest in front and rear lights. Don’t wear all dark clothing! Remember, the sun goes down at night, so even if it’s light on your way to work, it might be dark on the way home. Think ahead. A reflective vest and leg bands might not be the sexiest ensemble, but what will fashion matter if you’re dead? 3. Obey the rules of the road! Those octagonal red signs apply to you! Those pretty lights at intersections… also for you! The “there weren’t any cars coming” defense doesn’t work for drivers, and it’s not legal for you, either. Traffic laws aren’t written to give cops something to do, they’re written for universal safety. You might feel safe running a red light or stop sign, but you are endangering others. 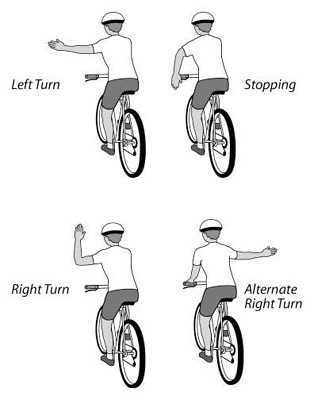 Learn the hand signals to alert other people of your movements in advance! 5. Stay to the right! Stay in the bike lane, if there is one, or stay to the right edge of the road. If you’re out with a group, please ride single file. “Share the road” goes both ways! 6. Get off your phone. Seriously. Oh, are you the one perfect person on Earth? My bad. Continue endangering your life and the lives of those around you. (This goes for drivers and pedestrians too!) Texting, talking, and rating songs on Pandora are all stationary activities. You do not have universal right of way! Stop and wait your turn! + Flip flops are an accident waiting to happen. I don’t drive in flip-flops because they can get caught on the pedals in my car. Same thing can happen on bikes. Also, they don’t offer any foot or ankle protection in a crash. Invest in a pair of shoes that cover your foot and won’t get caught on the pedals or in the spokes. + See #2 above for cycling in poor visibility. + Spandex is made for professional cyclists or daily “road warriors” only! + Say no to crack, my friends. Pull your pants up, or tuck in your shirt. I do not want to see your thong, tighty whiteys, or boxers. It’s not hot. 9. Be aware of your surroundings. You want drivers to watch for you in our mirrors as you tear up behind us, darting and weaving, and expect us to not open our car doors into you. Please give us the same courtesy and pay attention to the drivers, pedestrians, traffic patterns, and weather conditions. Assume drivers cannot see you. Since I drive in Boston, New York, and New Jersey, I abide by the rule that everyone on the road is INSANE and that pedestrians are blind. Let’s ALL stay safe out there. What points would you add? 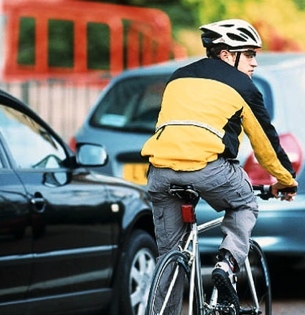 Cyclists, what would go on your “safe driver” list? Great points. I see so many cyclists not wearing a helmet – it’s ridiculous! That being said, other road users (i.e. 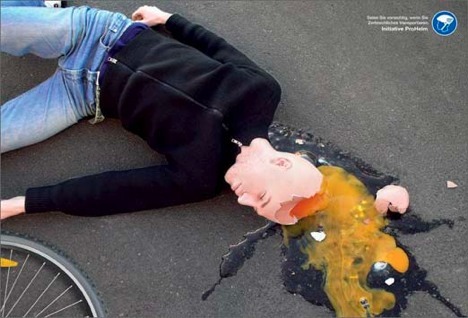 car drivers) need to be more conscious of cyclists and more cautious. It’s not worth killing a cyclist to reach your destination sooner. Absolutely! We all need to be more aware and cautious. Great post. I lived in CO where cycling is accepted as a mode of transportation, then I moved back to NJ and you might as well wear a target on your back. Now, regardless of where you live, all cyclists and motorist should be aware each other and follow the rules above. Great writing and I’ll be back! I used to live in Jersey, so I admire your fortitude to ride there! I’m guessing not down Route 17, though! Cars barely survive! Thanks for the kind words. Re: staying to the right. This is a law in some places, that you need to stay as far to the right as possible. In other places (specifically Massachusetts, where I live) it is NOT the law. Bicyclists are legally allowed to use the full lane if they need to. Sometimes this is more safe than staying to the right, because drivers in cars do not know how much space to give you and pass way too close. Better that drivers are delayed for five minutes than that I am sideswiped by a car. Seriously. It’s called “taking the lane.” I am an advocate. See, I also live in MA and I didn’t know that. I think road safety should be a mandatory class for road cyclists and drivers. That way we would all be on the same page and know what to expect from others on the road.